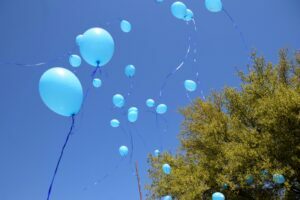 GRAPELAND – April is World Autism Month and the 12th annual World Autism Awareness Day was held on April 2 as friends and neighbors around the world came together to pledge to “go blue” in order to increase global understanding and acceptance of people with autism. 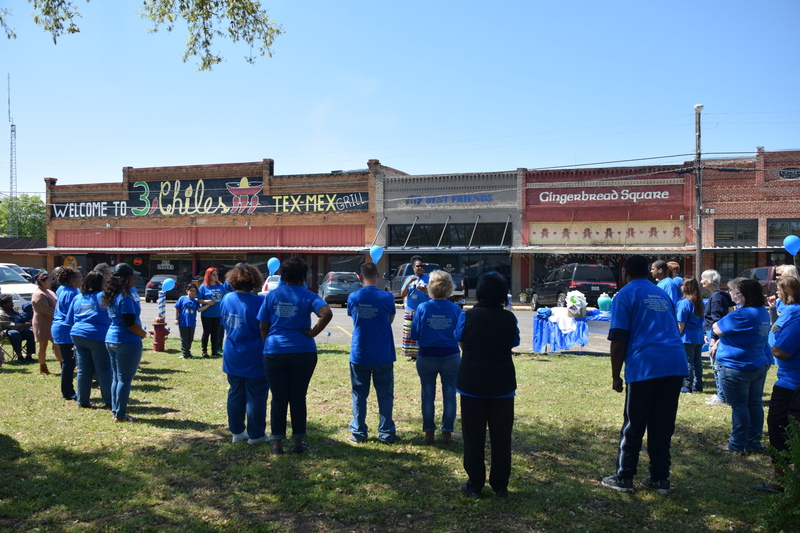 Main Street in Grapeland was a part of this recognition as a crowd descended on the downtown park for a balloon release to help commemorate the day. Sponsors of the event included: Best Friends Community Service; Los Ranchos Mexican Restaurant; Morris and Sharon Luker; Las Rosas Mexican Restaurant; Grapeland Farm and Ranch; and Marie Dickerson. “Joined by the international community, hundreds of thousands of landmarks, buildings, homes and communities around the world are adorned in light blue in recognition of people living with autism. Autism-friendly events and educational activities take place all month to increase understanding and acceptance and foster worldwide support,” according to the Autism Speaks website.